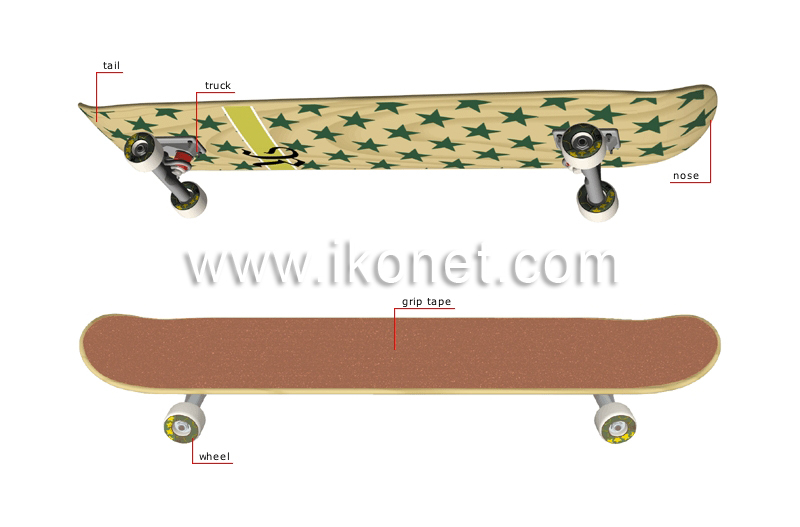 Wooden, usually concave board mounted on four small wheels; it is guided by body movements. Device that connects the wheels to the board; it enables the wheels to change direction. Front end of the board. Rear end of the board. Small round object that turns on an axis so the board can move backward or forward; its diameter and durability vary with the activity. Rough surface attached to the board that helps the skater’s shoes adhere to it.